Scientists may have found the first ever land organism. The discovery of an ancient fossil is making waves throughout the scientific community for its significance as one of the earliest land organisms known to mankind. While it is believed that life originated in the sea and fish eventually evolved into the first land animals, they wouldn’t have come onto land at all if there weren’t plants and other organisms there first, and scientists think they may have found one of the very first land-based organisms, according to a Washington Post report. 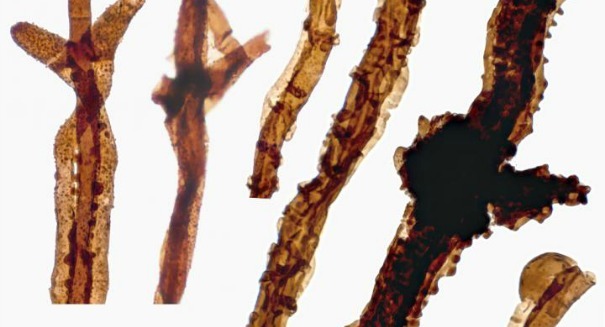 This fungus, called Tortotubus and possibly more than 440 million years old, may have been a pioneer on the Earth’s barren landscape, creating a lush surface that paved the way for animals to evolve and eventually humans. Tortotubus is most likely not the first thing to live on land. There’s a lot we don’t know about the fossil record back then — this is simply the earliest example of life we’ve found, but we probably just haven’t found others yet. Still, it was certainly close to the beginning of life on land, and was part of a major transition of life from the sea to the land. The findings were published in the Botanical Journal of the Linnean Society.